Through the ages, man (and woman) has used many tools for divination, from runes and tea leaves, to bones and playing cards to name just a few. The humble playing cards gradually evolved into what came to be the first Tarot deck. When readers found the Tarot to be restrictive, and began to seek a more fluid and open path, it gave birth to the Oracle deck. Tarot and Oracle decks are similar in the sense that they both provide guidance based on the image on the card. Tarot is more specific and helpful when it comes to yes and no answers, but can be restrictive if you are looking for a broader guidance. Oracle cards, on the other hand, are more free-flowing and more open to interpretation. They can, however, sometimes be vague when you may be seeking specific answers. Some of my favourite Oracle decks, like the Rumi Oracle, are absolutely brilliant for in-depth readings and the Tarot deck is essential, for me, when doing a monthly or annual reading, or when going through a time of change. In my practice, I use a combination of Tarot and Oracle decks. My bent is that of a healer, and so my readings are more about offering guidance rather than predictions. Before you ask “What kind of questions can a reading answer?”, let me say “Absolutely any and all questions” as long as the question is about you and you are open to listening. 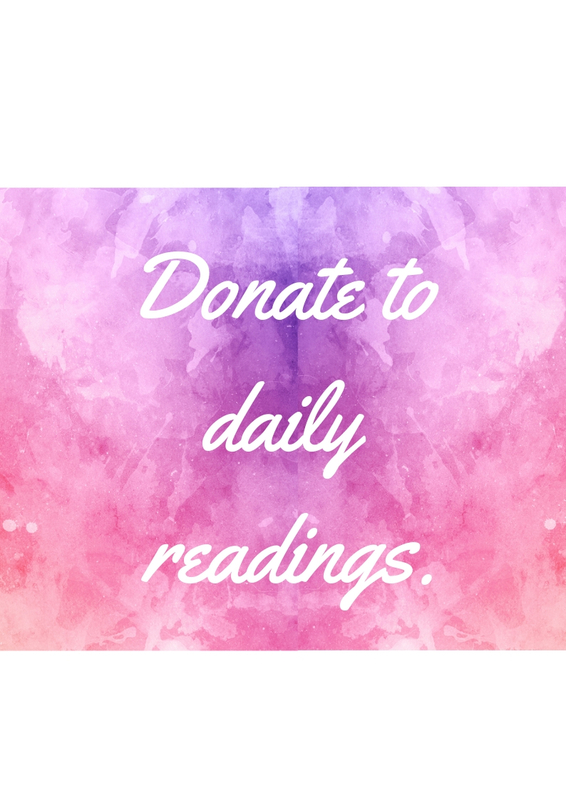 On this blog, I run daily readings — from Monday through Friday — that are a message for the day or the week, at best. They are meant to provide messages that help navigate day-to-day life with ease and grace. I also do a longer monthly reading which provides information about the predominant energy of the month and can be more predictive. Both are offered in a broad and general sense. 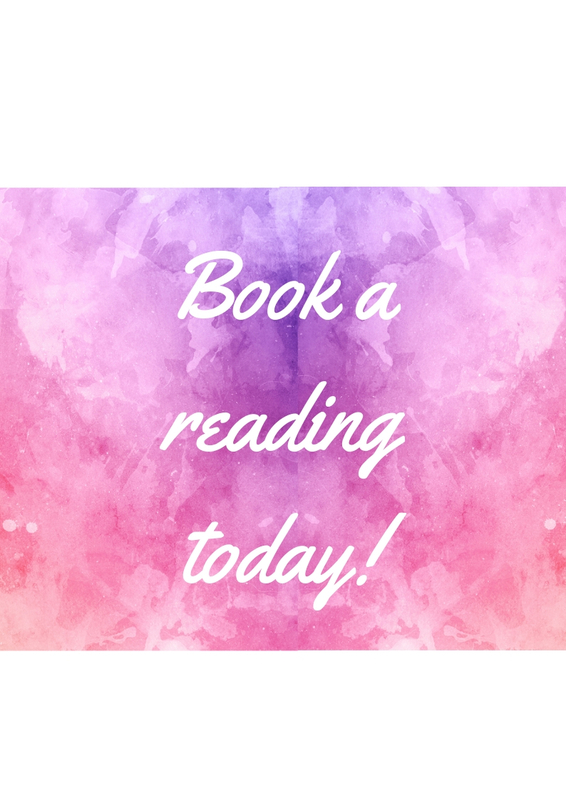 I am available for personal readings, which are offered one-on-one and the answers are very specific to the person, and the questions at hand. One of the most frequently asked questions is “Who is the daily reading for?” and the truth is, it is for anyone and everyone who reads it. It doesn’t mean that everyone is going through the same things, but that the message will be relevant to anyone who reads it, in a way that is specific to whatever they may be going through. More on that in the FAQ section (coming soon!). As I said earlier, the cards offer guidance rather than predictions. Having said that, they do give a glimpse to what lies ahead and often offer advice on how to deal with a situation before it becomes an issue. For people who do regular monthly readings or even annual ones, these serve as a roadmap on what to expect and to be forewarned about. Personal reading range from questions about the current (or future) job to life purpose, health and the home, about relationships and not just romantic ones. No question is too small or too frivolous to ask and you may be pleasantly surprised by the depth of the answer you receive to even the simplest question. 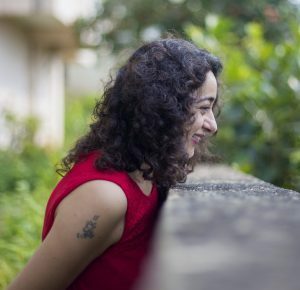 And the best part — you can actually go for a Tarot Reading without a question! If you feel the urge or an inkling, but don’t have a conscious, specific question in mind, go for a general reading and you will get answers to questions you didn’t know you had! The world of guidance through Tarot and Oracle cards can be a deep and enriching one. If you would like to know more or schedule a reading or any of my other offerings, please feel free to contact me.